There are various warning signs to help detect potential alcohol abuse. While many signs are recognizable, others may be more difficult to identify. 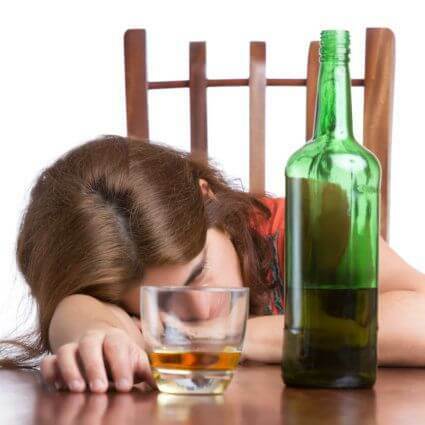 Also, the severity of alcohol abuse may play a role in the warning signs a person exhibits. For example, some people try to cover their alcohol abuse by drinking in private and isolating themselves from others. This makes it challenging for family members or friends to intervene and help their loved one. Mild alcohol abuse can be easily overlooked. However, what may appear as a minor issue can turn dangerous over time. These early warning signs should not be ignored. Seeking treatment sooner rather than later will allow you to get back to the things you enjoy most in life. If left untreated, alcohol abuse can spiral out of control quickly. When alcohol abuse begins to negatively impact a person’s life and causes harm, it is diagnosed as alcohol use disorder (AUD). Recognizing the warning signs of alcohol abuse and getting proper treatment can make a significant difference in someone’s recovery process. While there is no exact formula to determining whether or not someone is an alcoholic, symptoms often co-occur. One symptom may snowball into another, fueling additional problems down the road. No matter how minor a drinking problem may seem, alcohol abuse symptoms should not be ignored. If you or a loved one is struggling with alcoholism, we’re here to help. Give us a call now to find alcohol treatment facilities nearby. There are several screening tools that help with determining whether someone has alcoholism. One tool is known as CAGE – a questionnaire that measures the severity of a drinking problem. If you answer “yes” to two or more CAGE questions, you should seek professional medical assistance. Have you continued to drink even though it was making you feel depressed or anxious or adding to another health problem? Have there been situations where you ended up drinking much more than you intended? Have you lost interest in other activities and hobbies since you started drinking? Have you experienced symptoms associated with an alcohol withdrawal? Have you felt an urge or craving to consume alcohol? Have you gotten into situations while drinking that increased your chances of harming yourself or others (i.e., drinking and driving)? Have you been in trouble with the law due to alcohol-related problems? The CAGE is a brief questionnaire that you can take to help determine if you have a problem with alcohol. Any negative consequences in just one area of your life, regardless of how much or how often you drink, are cause for concern and an indication that you need the help of a professional. Alcohol abuse can lead to an array of issues, affecting both your personal and professional life. Prolonged drinking puts you at risk for developing serious health complications and can cause other potentially life-threatening consequences. Denial is one of the main reasons why millions of people do not receive treatment for alcoholism. Some individuals will try to rationalize their drinking behaviors. For instance, you may blame other people or certain circumstances for your drinking. Rather than acknowledge the problems you’ve experienced from alcohol, you become defensive when someone mentions your excessive drinking pattern. By refusing to recognize the negative consequences of alcohol, you’re preventing yourself from living a healthy, sober life. It’s time to stop making excuses for your drinking and get the help you deserve. Learn about alcoholism support options and find other resources to start on your recovery plan today. In the last several decades, a growing number of teens have started abusing alcohol. Because adolescents’ brains are still developing, teenage drinking behaviors vary greatly compared to adult patterns. Many adolescents who participate in underage drinking are unaware of the long-lasting complications that can transpire from alcohol use. Teens may turn to alcohol for various reasons including peer pressure, wanting to experiment or have fun. There are also behavioral, physical and environmental factors that may play a role in the risk of adolescent alcohol abuse. Just like adults, teens experience stressful situations. Rather than taking part in a hobby, some adolescents try alcohol. It allows them to unwind from challenges that may arise at school, or with family and friends. Drinking can offer teens a sense of happiness, so they continue feeding the habit. With alcohol advertisements plastered in the media, many teens think drinking is acceptable. Some teens have the mindset that they’ll gain more friends by drinking. Unfortunately, experimenting with alcohol rarely stops after one occasion – it’s usually a snowball effect that becomes unmanageable. During the teenage years, some adolescents lack confidence and long to fit in with their peers. They’ll do just about anything to be accepted – even if that means drinking alcohol. Drinking is seen as an outlet to reduce social jitters and demonstrate confidence among their peers. The frontal area of our brain, which is involved in (functions such as) executive functioning and planning … that is not as developed in teens, and alcohol affects that. Kids are already more impulsive, less patient … and alcohol affects that. Overcoming alcoholism should be completed under the care of medical professionals in a specialized treatment facility. Patients who attempt to self-treat may cause more harm than good. For instance, the detox phase can entail extremely uncomfortable withdrawal symptoms which are best treated in a rehab program. Participating in a recovery program with the help of a rehab specialist will give you the greatest chance for long-term sobriety. Treatment specialists guide you through every step of the recovery process and help you set achievable sobriety goals. After rehab, your specialist will put you in touch with alcohol abuse counselors and support groups, like Alcoholics Anonymous and Al-Anon. This will ensure you maintain your sobriety and allow you to meet other peers who have overcome alcohol abuse. In 2014, roughly 16.3 million adults in the U.S. had an alcohol use disorder (AUD). Of those with an AUD, only 8.9 percent received treatment. Teenage alcohol abuse rates are climbing in the U.S. An estimated 855,000 adolescents – ages 12 to 17 – had AUD in 2012. The number of adults seeking treatment from a specialized alcohol facility has remained consistent in recent years – around 1.2 percent. It’s time to take back control of your life. If you’re ready to live a healthy, sober lifestyle, help is available. Talk with one of our recovery specialists today to find a treatment program that fits your needs.